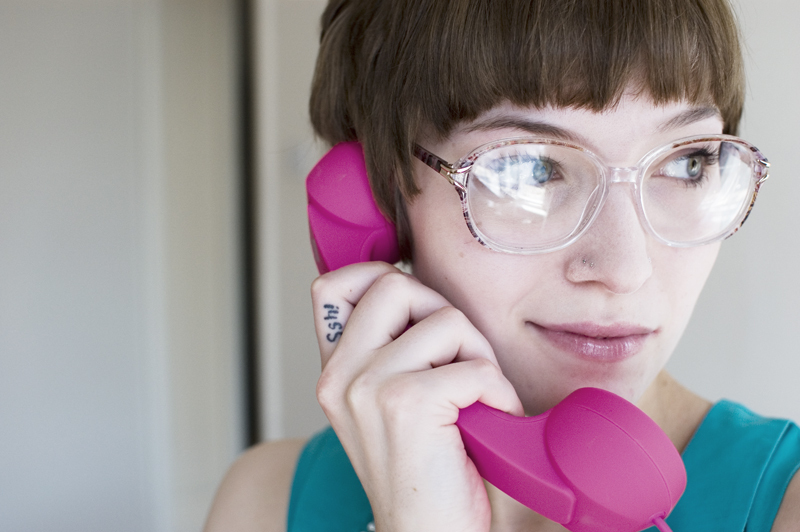 POP PHONE: "the original retro handset"
This cool little gadget is the POP Phone by Native Union. 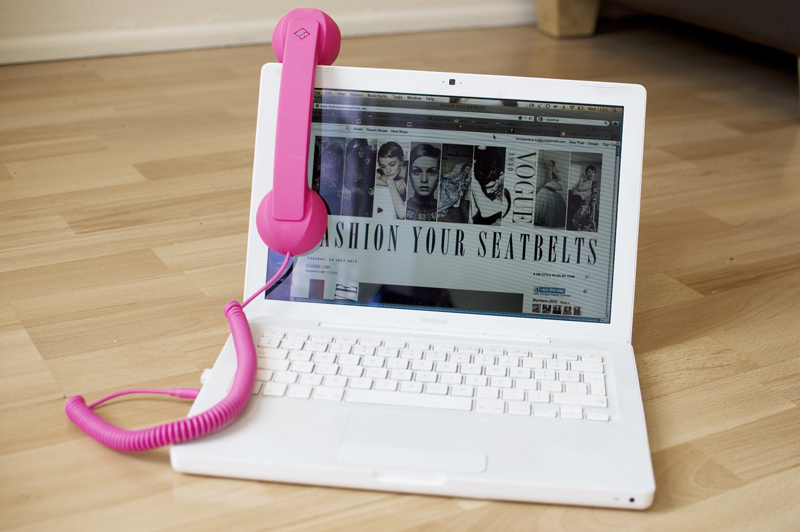 Particularly of interest to any Skype users out there, the POP Phone can be plugged into all iPads, tablets and computers, enabling you to chat more privately on a handheld phone - just like back in the good old days when your friends would phone you up on your "house phone"! It also fits all iPhones and androids, freeing your phone during conversations and also reducing radiation, (if you're paranoid about that sort of thing). 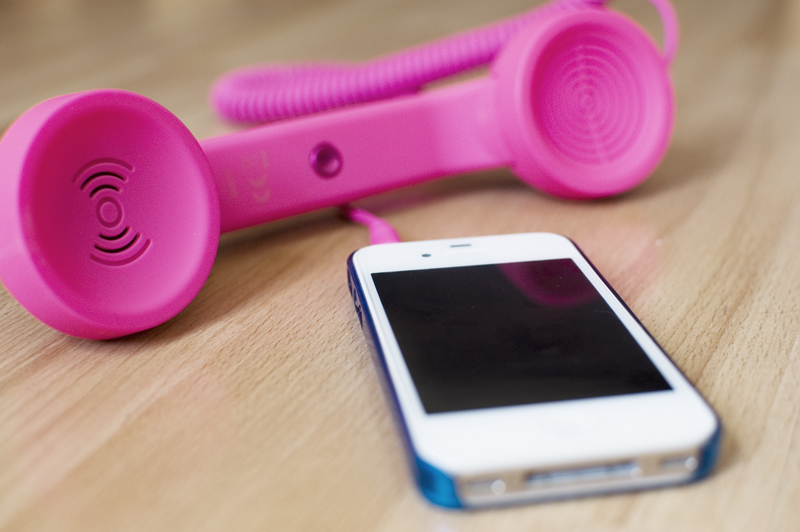 Inspired by the 1950's classic Bakelite phone, the POP Phone looks super kitsch and comes in lots of different colours including, of course, a 2012 Olympics edition! (Though, my personal favourite colours are the baby blue and the gold!) I tried mine out earlier and gave my lovely Mum a call; it definitely felt more natural and comfortable in my hand than an iPhone and the sound was great! Well, as great as it can be when my family live out in the sticks and their phone reception is rubbish! I think the idea is really fun and also practical - what do you think of them? You can head over to the store to see more colours here. That is adorable! I'm tempted by the gold one! Thee are really fab! I saw them in Selfridges just a week ago, and I read on the packaging that they also reduce radioactivity from your phone, as you mentioned in this post. It's a lovely product, you can tell the producers went through a lot of effort to make it. I'm sorry I keep commenting on lots of your blog posts by the way, I feel as if I'm annoying you!